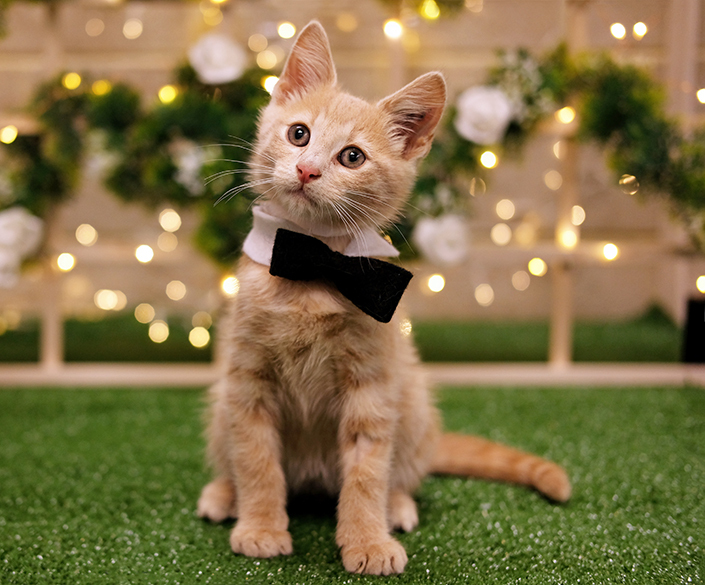 Cats and kittens at The Lost Dogs’ Home are inviting you to the ultimate summer party – The Meownificent Garden Party! From 13 January until 11 February 2018, there’s no fee to adopt an adult cat and it’s half-price ($110) to adopt a kitten. On Thursday 8 February, cat and kitten adoptions at our North Melbourne shelter will stay open until 7.00pm to give you more time to come and find your new best friend. All cats and kittens adopted during The Meownificent Garden Party will also receive a special offer at Frank Samways Veterinary Clinic. The normal adoption process will still apply, to ensure our cats and kittens find well-matched homes. Our adoptions centre has transformed into a tranquil summer garden theme. The cats and kittens are inviting you along to the party to fall in love and take one of them home. If you’ve been thinking about getting a new pet, the time to adopt is now! All cats and kittens available for adoption are desexed, microchipped, vaccinated, and up to date with flea and worming treatments. View cats and kittens available for adoption, or meet them at our North Melbourne shelter.